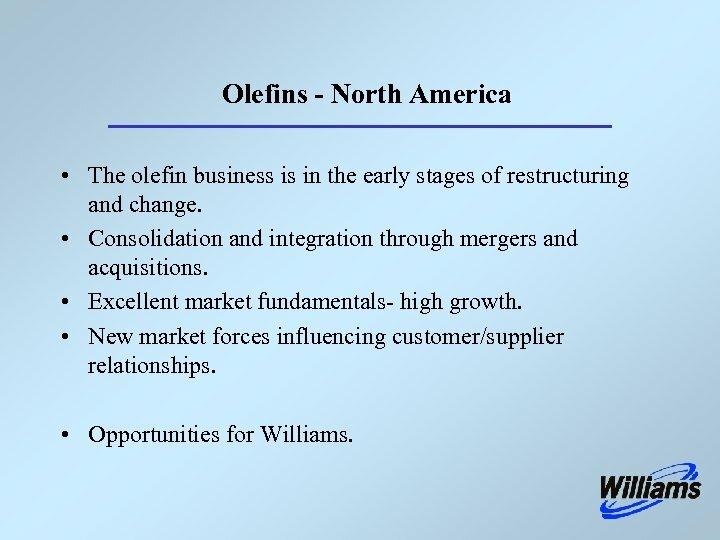 Olefins - North America • The olefin business is in the early stages of restructuring and change. • Consolidation and integration through mergers and acquisitions. • Excellent market fundamentals- high growth. • New market forces influencing customer/supplier relationships. 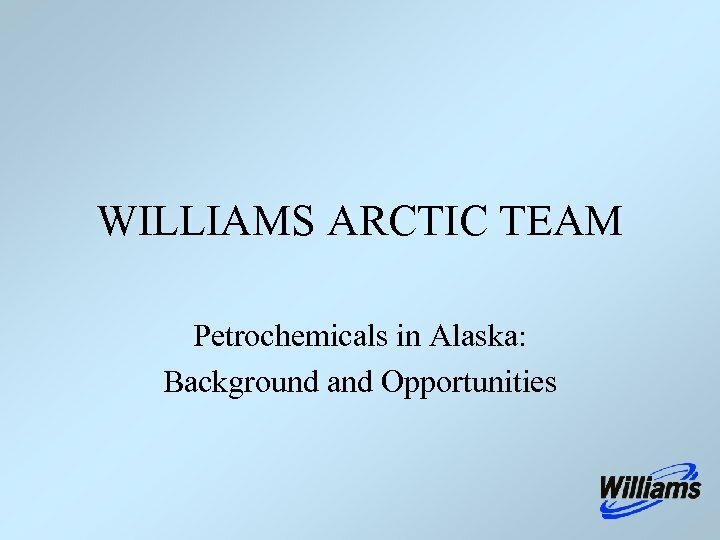 • Opportunities for Williams. 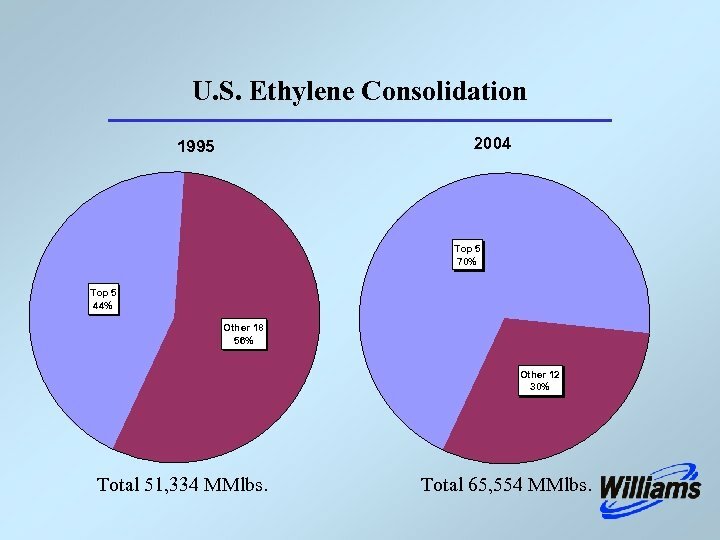 U. S. Ethylene Consolidation 2004 1995 Top 5 70% Top 5 44% Other 18 56% Other 12 30% Total 51, 334 MMlbs. Total 65, 554 MMlbs. 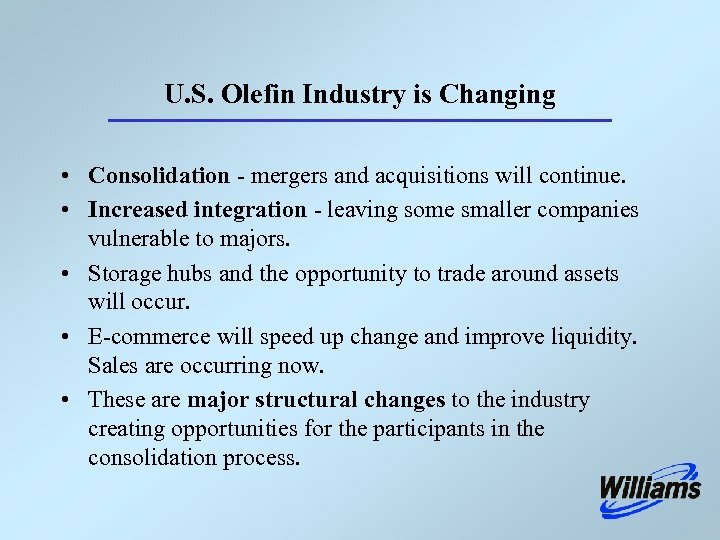 U. S. Olefin Industry is Changing • Consolidation - mergers and acquisitions will continue. 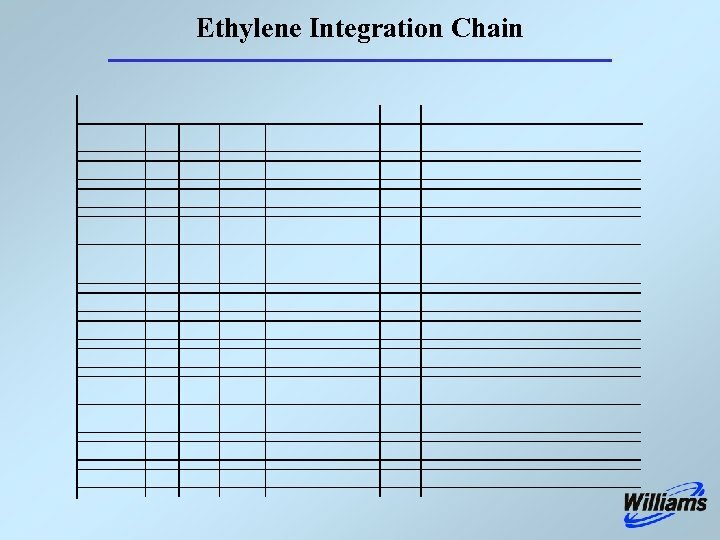 • Increased integration - leaving some smaller companies vulnerable to majors. • Storage hubs and the opportunity to trade around assets will occur. • E-commerce will speed up change and improve liquidity. Sales are occurring now. • These are major structural changes to the industry creating opportunities for the participants in the consolidation process. 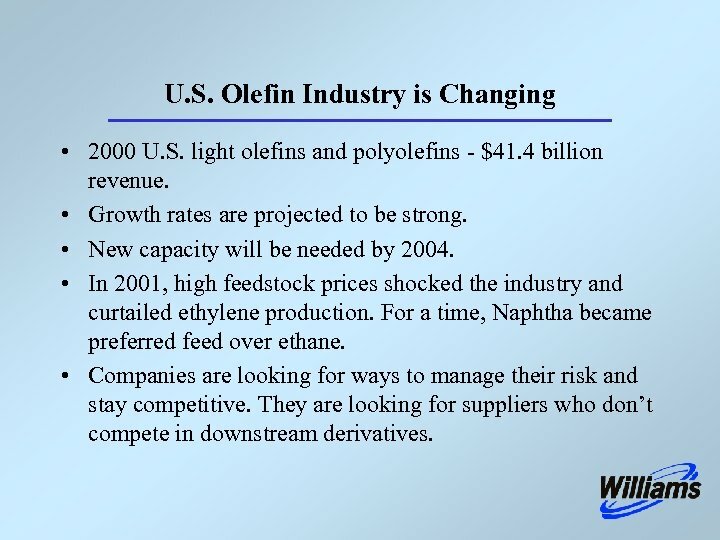 U. S. Olefin Industry is Changing • 2000 U. S. light olefins and polyolefins - $41. 4 billion revenue. 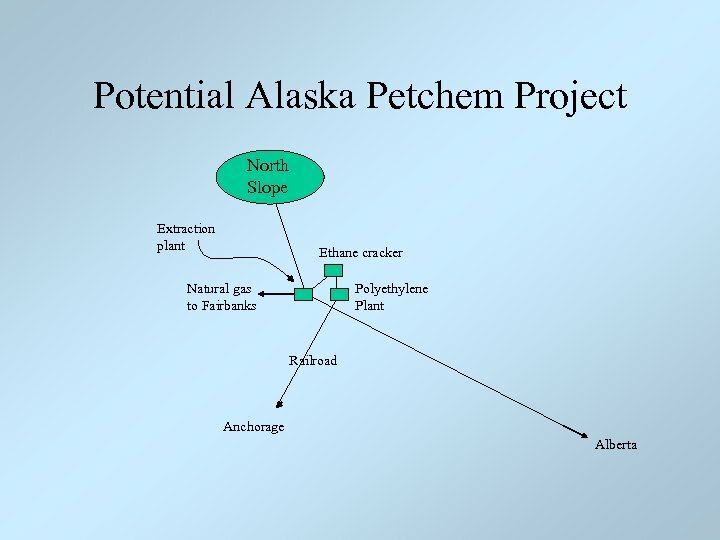 • Growth rates are projected to be strong. 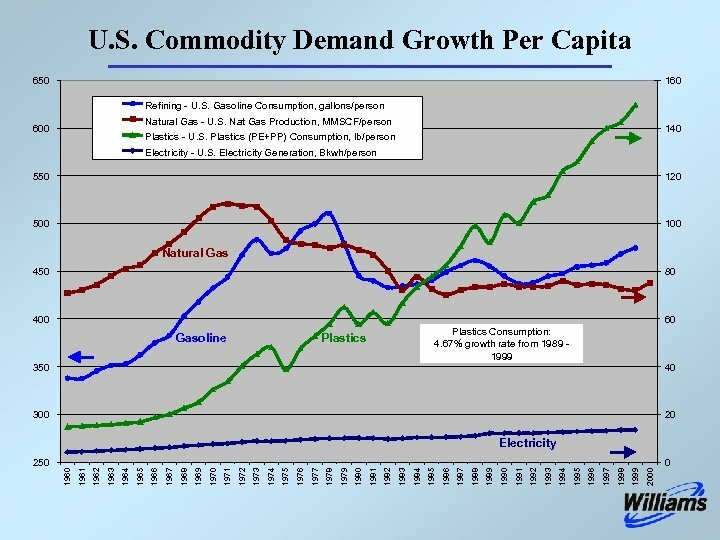 • New capacity will be needed by 2004. 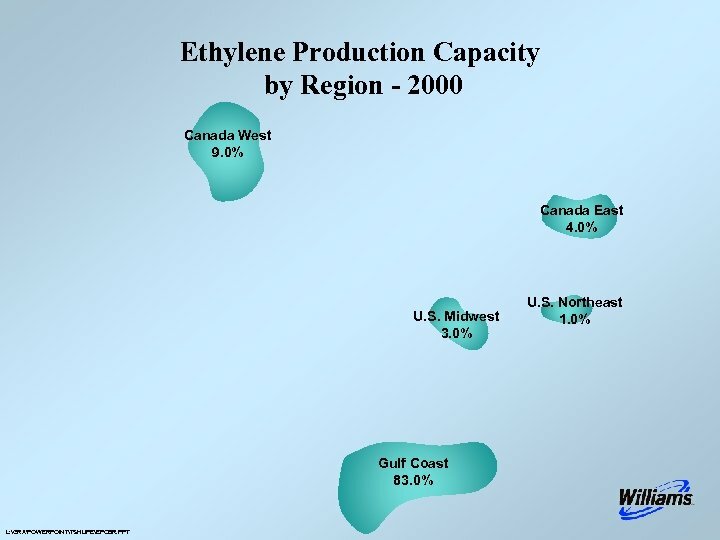 • In 2001, high feedstock prices shocked the industry and curtailed ethylene production. 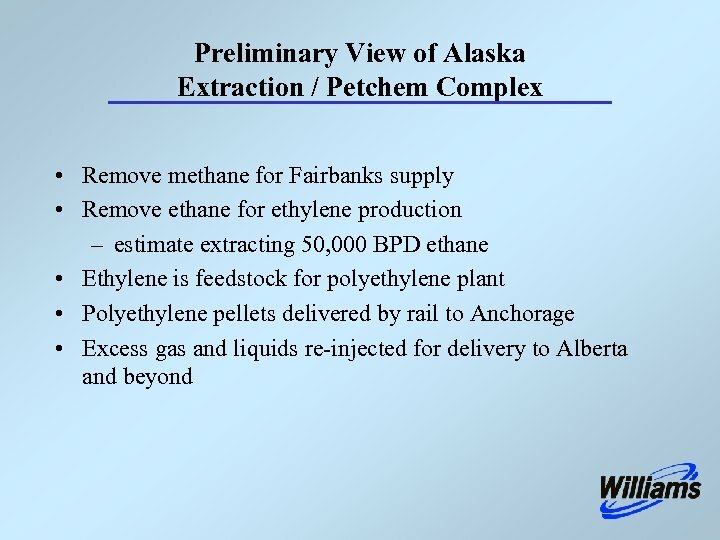 For a time, Naphtha became preferred feed over ethane. • Companies are looking for ways to manage their risk and stay competitive. They are looking for suppliers who don’t compete in downstream derivatives. 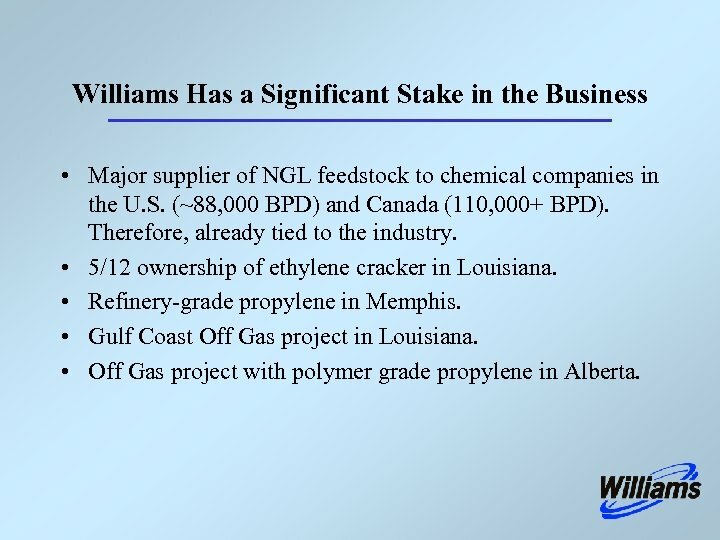 Williams Has a Significant Stake in the Business • Major supplier of NGL feedstock to chemical companies in the U. S. (~88, 000 BPD) and Canada (110, 000+ BPD). Therefore, already tied to the industry. 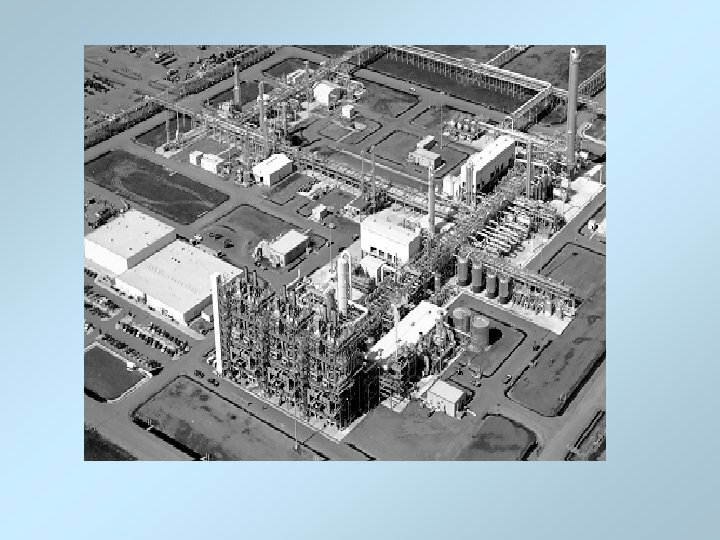 • 5/12 ownership of ethylene cracker in Louisiana. 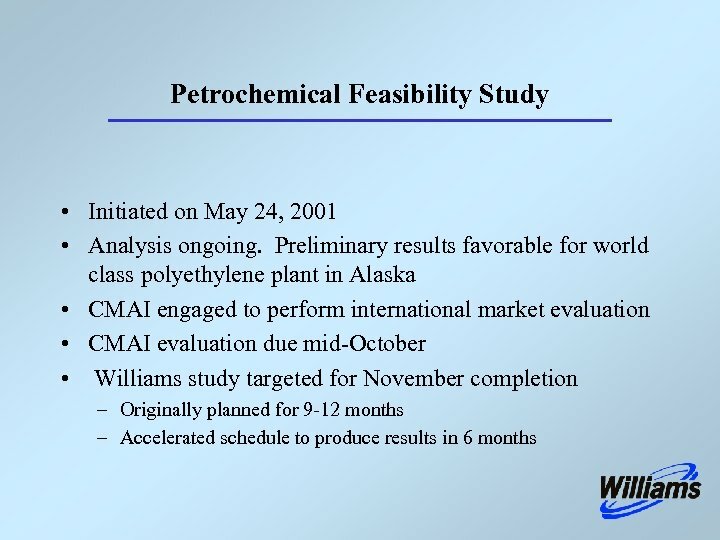 • Refinery-grade propylene in Memphis. 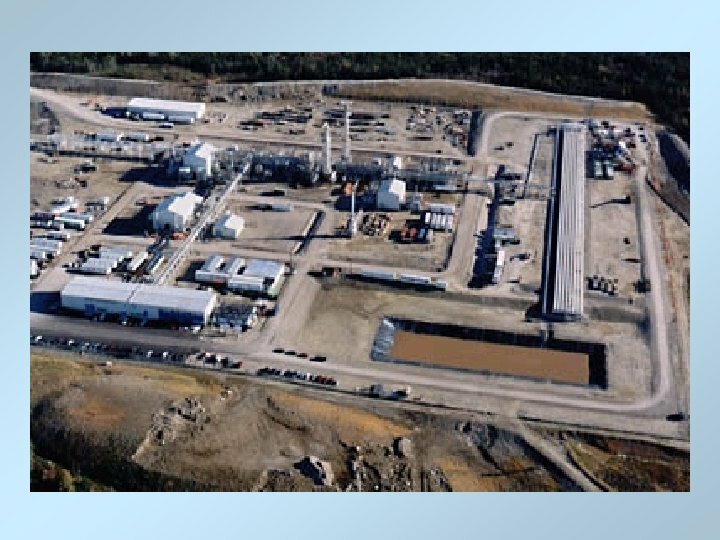 • Gulf Coast Off Gas project in Louisiana. 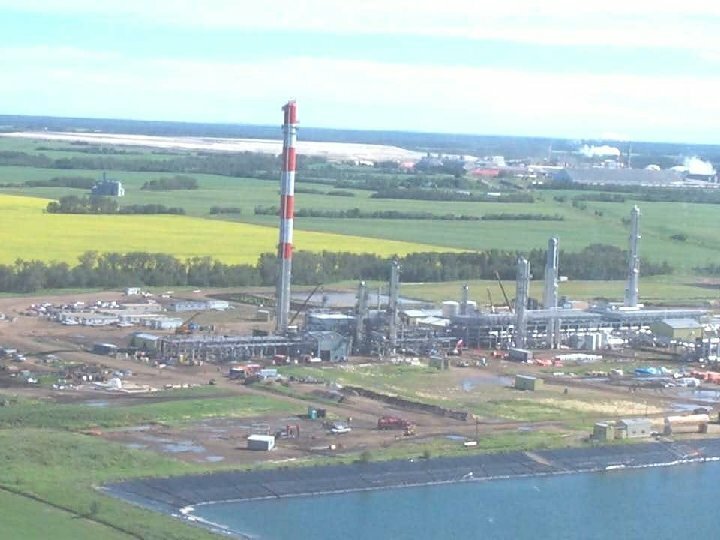 • Off Gas project with polymer grade propylene in Alberta. 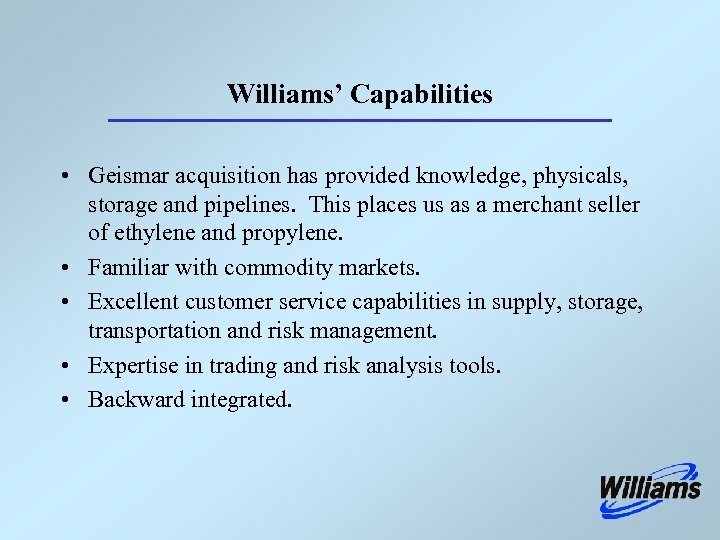 Williams’ Capabilities • Geismar acquisition has provided knowledge, physicals, storage and pipelines. 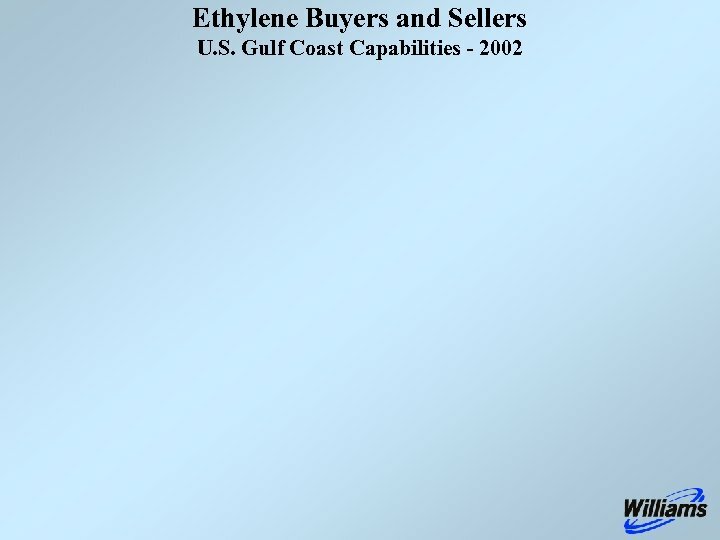 This places us as a merchant seller of ethylene and propylene. 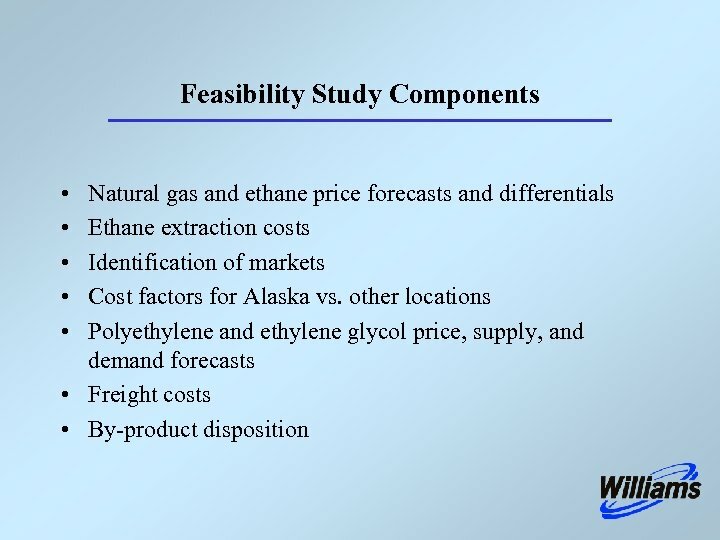 • Familiar with commodity markets. • Excellent customer service capabilities in supply, storage, transportation and risk management. 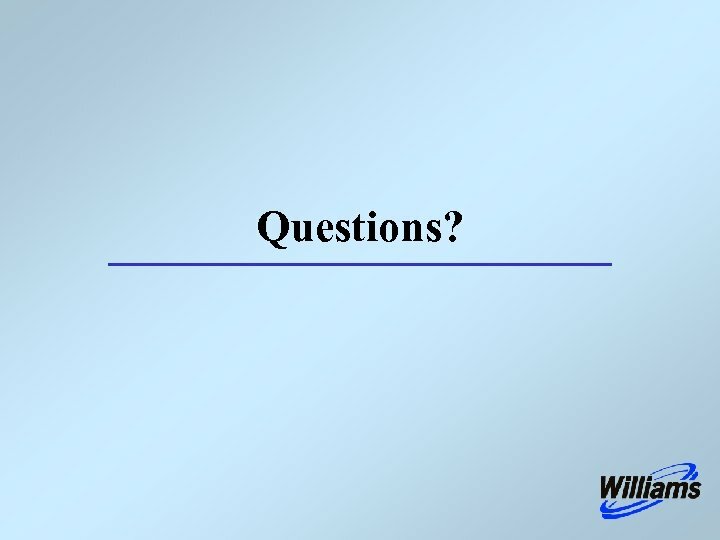 • Expertise in trading and risk analysis tools. • Backward integrated.